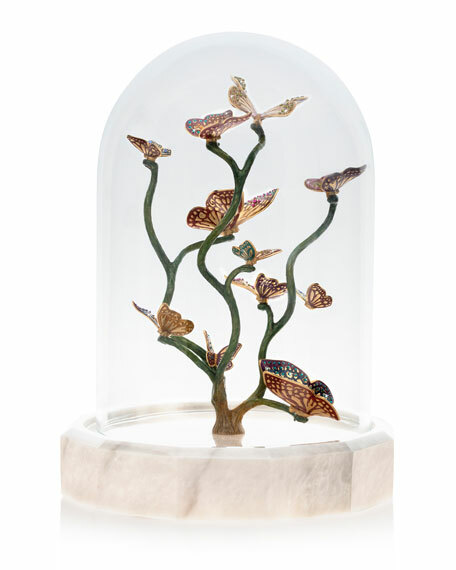 A beautiful transparent cloche encasing 14-karat gold butterfly figurines with a white marble base. Our finest artisans paint each butterfly with vibrant enamel colors and handset each Swarovski® crystals. 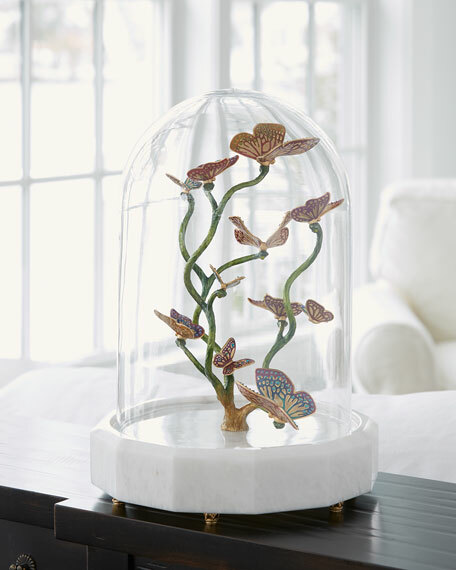 Handcrafted decorative glass cloche on marble base. 14-karat gold and enamel branch and butterflies at interior.